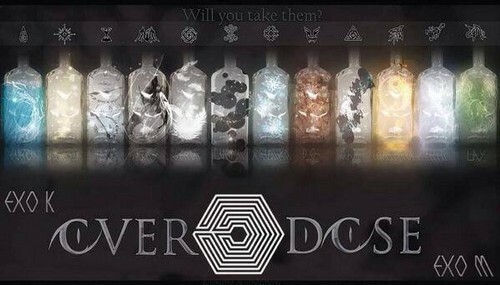 Exo Overdose drink. will you take it? and get overdose. Wallpaper and background images in the S.M.Entertainment club tagged: photo. This S.M.Entertainment photo might contain sign, poster, text, and chalkboard.